London’s major airports have taken their battle over which will be granted permission to add further runway capacity north for the SNP conference in Aberdeen which starts today. Yesterday Heathrow pledged to “reverse the decline” in connectivity between London and Aberdeen and Inverness if its £17.6billion expansion goes ahead. It also highlighted the greater number of connections to global oil and gas capitals available to fliers from Aberdeen via the airport, which is owned by a consortium led by by Spanish infrastructure firm Ferrovial. 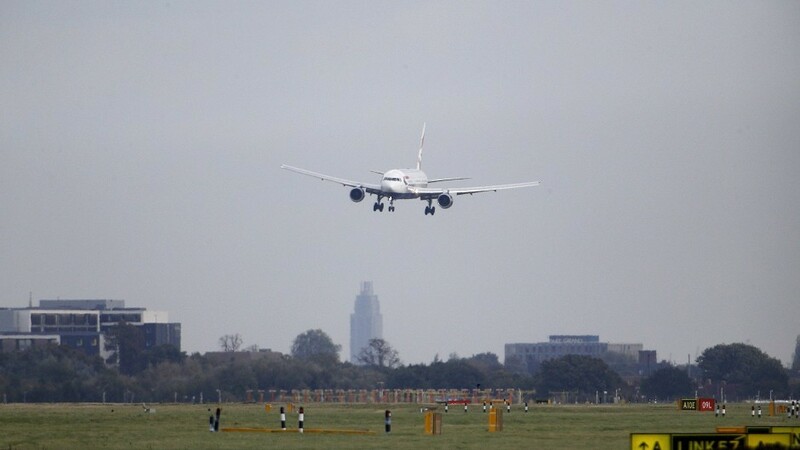 Bosses of Heathrow and Gatwick airports continue to be at loggerheads despite the Airport Commission deciding in July that a new, full-length runway for Heathrow was better than extending one of its existing runways, or building a new one at Gatwick. The government is considering the recommendation which is still the subject of heated controversy. Heathrow identified 20 main global oil and gas locations, such as Paris, Houston and Calgary. It said that of the 15 cities that people cannot reach directly from Aberdeen airport, it flew to all of them, while airlines from Gatwick only reached four. It added that this would fall to two once Gatwick dropped flights to Moscow in 2016. Stewart Wingate, chief executive of Gatwick Airport, argued that its expansion would make it more competitive. He said: “Competition serves passengers better than the outdated monopoly and empty promises being proposed by Heathrow. “Indeed, Gatwick’s competitiveness has allowed us to open up new cost-efficient routes to the US and Canada with more in the pipeline. The SNP remains neutral on which airport will get the expansion. Drew Hendry, the SNP’s transport spokesman at Westminster, issued a challenge to the airports to offer real benefits for Scotland. He said: “We are very clear that we are neutral on what our preference is. “What we are keen to do is make sure the questions that have been raised by our constituents are answered, such as the high cost of travelling and getting some sustainability over flights from airports like Inverness, Aberdeen and Dundee. Gordon MP Alex Salmond said it was important in the first instance for devolution of air passenger duty to take place as quickly as possible, given any development is “years off”, to generate additional activity from Scottish airports in the nearer term. The former first minister, whose constituency includes Aberdeen Airport, added: “Both Heathrow and Gatwick need to give not just indications, but guarantees, to Aberdeen and other Scottish airports, since we have been so poorly let down over the last few years. Both Heathrow and Gatwick airports will host events at the conference at the Aberdeen Exhibition and Conference Centre (AECC) during the event.